Now that my book launch is over, I’m back to being an author behind the computer screen, escaping into fictional worlds I create, or those of others (I’m one of those authors that LOVES TO READ other authors as well). 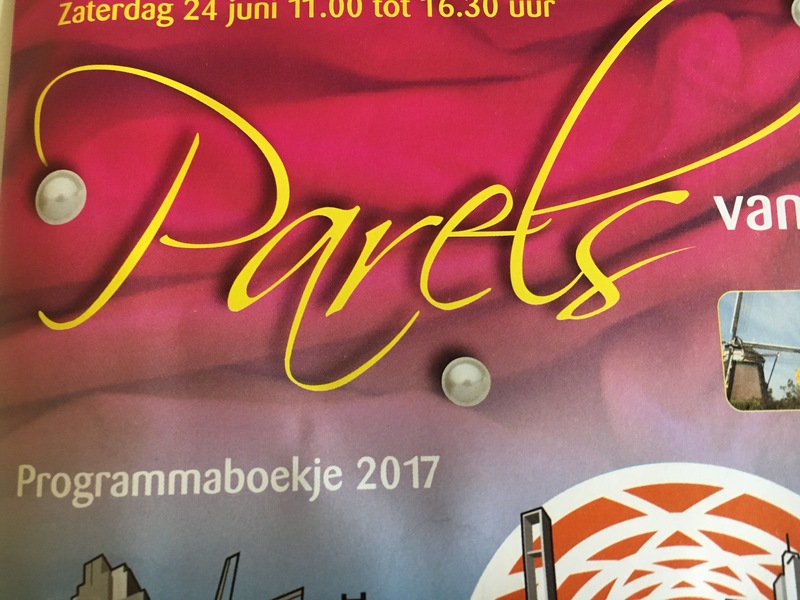 But I will come out from behind the screen once again on Saturday, June 24th, 2017 as part of the Parels in Bezuidenhout celebration. The Parelroute features 47 “pearls” or venues where you can see everything from art and music, participate in workshops and meet authors. I will be giving a presentation at the Haagse Hout Library (Theresiastraat 195, The Hague) at 1:00pm and 3:00pm. 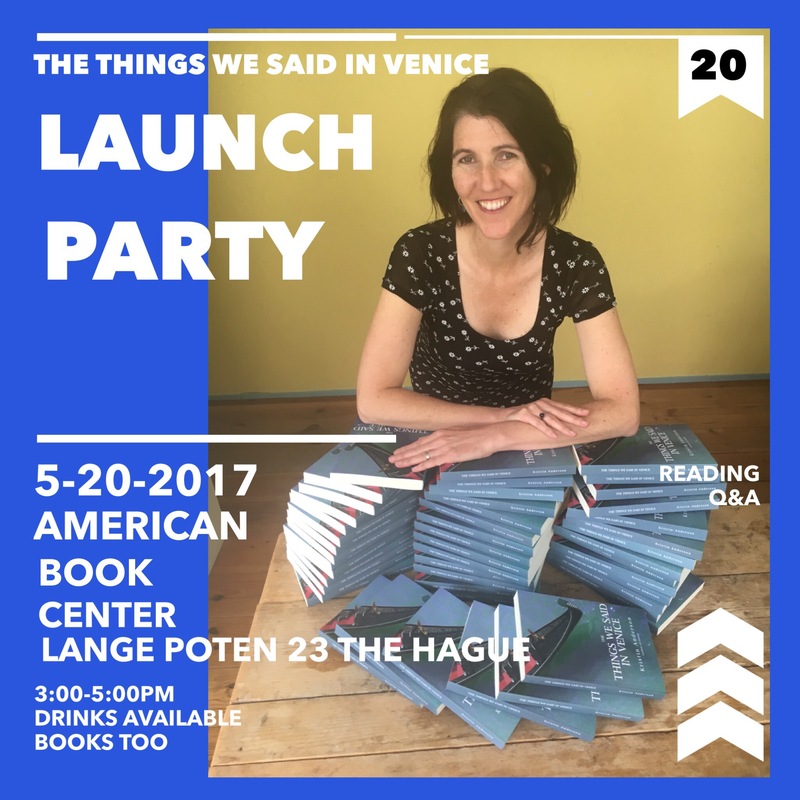 I will discuss how living in The Hague influenced the narrative of my latest novel The Things We Said in Venice, do a reading and there is a chance to purchase a copy of one or both of my titles on this day as well. Not able to make it that day? My book is also available at The American Book Center, The Hague (Lange Poten 23) and via Amazon in your respective countries (best shipping rates to The Netherlands is via Amazon.de). Here’s the map of the event. As you can see, there’s no shortage of participants! 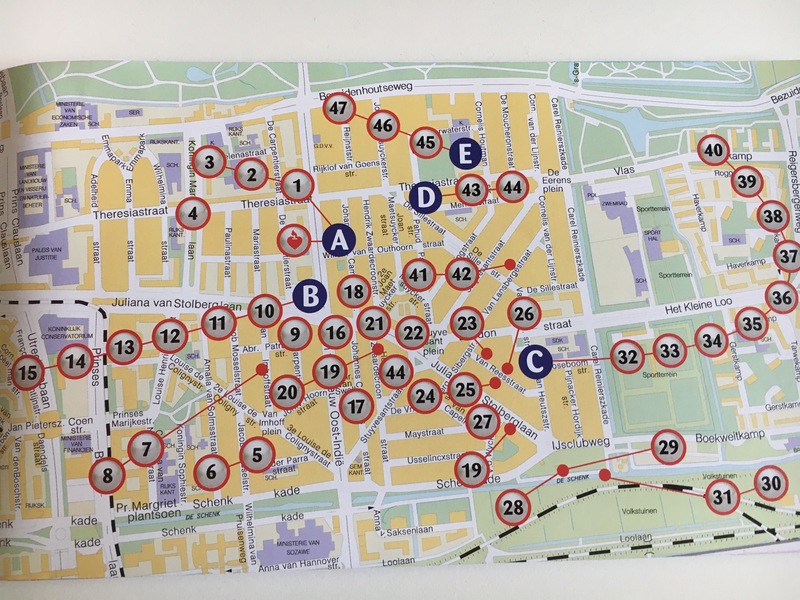 You can see the full schedule on this website and plan your own route for the Parel Dag. Weekend before last, it was finally here; my book launch of The Things We Said in Venice at the American Book Center in The Hague. Thank you friends, book lovers and friendly strangers who filled the room with energy, listened to the Q&A, asked questions, purchased my novel and supported me as an author. In case you missed the launch, here are a few photos. Based on my face, Ms. Rodenhuis must have just asked a surprising question! From left to right: Author Kristin Anderson, pianist Guy Livingston, author NJ Simmonds (her book signing for her novel The Path Keeper is June 1st at the American Book Center!) and baby masseuse Floor Tuinstra. Didn’t get a chance to make it to the book release? That’s okay. 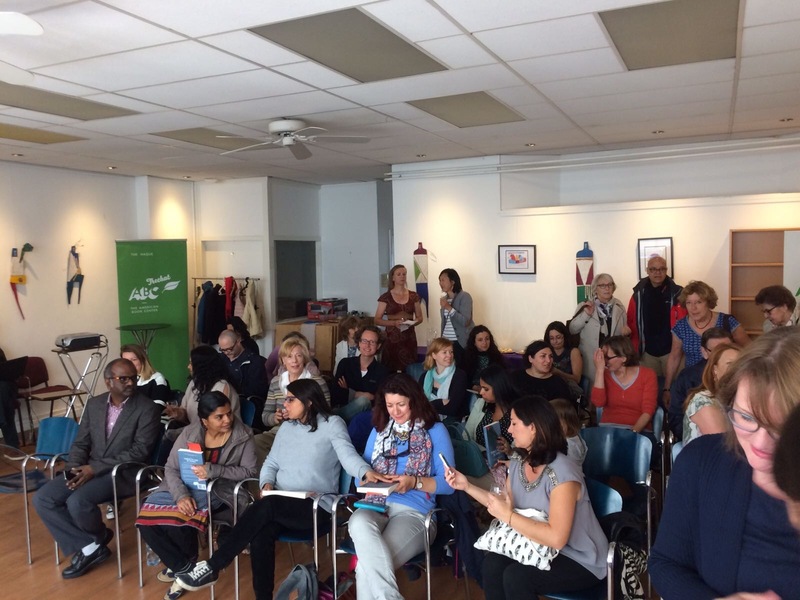 There are more events planned, like participation in Parelroute in Bezuidenhout, where I will talk about how living in The Hague influenced the context of my novel. Parelroute is Saturday, June 24th, 2017. Just want a live link for an instant gratification purchase? Here you go. Thank you for reading all the way to the end! Book Launch Today in The Hague! It’s Saturday, high noon. The sun is out. What are you planning for your afternoon? Every weekend in The Hague, there are wonderful activities happening, all competing for your attention and time. Beach or a lazy afternoon at home? Festival or film? Concert or book signing? I’m here to add your choices. 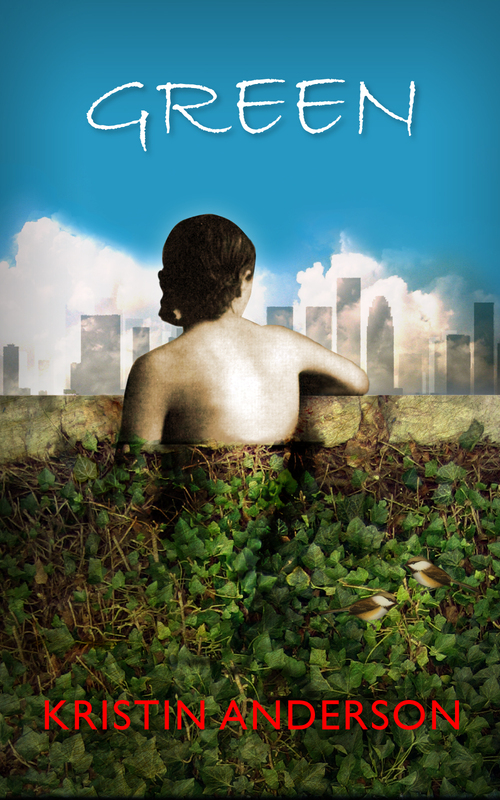 Today is the day that I am celebrating the launch of my second novel, The Things We Said in Venice. Sure, it’s been available online for the last 9 weeks, but this is the first time I am making a party of it somewhere else besides online, so I can celebrate with people in present time, where we can chat with each other, while looking each other in the eye. What’s The Things We Said in Venice about? Travel, second chances, architecture, self-discovery, overcoming fear, laughter, relationships, love. For more info, see recent press about the book below the schedule. 3:00pm-3:30pm Glass of wine, chat and book signing, raffle entry. 4:00pm-4:30pm Raffle drawing. Book signing, slideshow. 4:30-5:00pm Second reading and a toast to Venice. *Schedule may be thrown out the window if necessary. After all, we are on Italian time. moment that unfolds between your characters, accompany your characters through their heartache, laughter, embarrassment, growth. They will explore the settings, the background, the cultural narrative, the messages that unfold. In other words, you will take a total stranger on an intimate journey through your words. (or 6 hours, 9 minutes in the case of my second novel) affected them. What a strange, and fairly new phenomenon! New? Books have been around forever! Well, not really. The ancient Egyptians wrote on papyrus, Sumerians on stone tablets, monks eventually sat hunched over little tables, hand-copying or producing original books, followed by wood tablet technology. But it wasn’t until Johannes Gutenberg introduced the printing press to Europe way back in 1439, that the printing revolution really began. Before and after this time, many people shared stories through the oral tradition. Thus the storyteller was engaged with a rapt audience, could work the stage, adjust the cadence of his story as needed, incorporate the name of a village to make the story personal. ability to engage their audience directly, enthralling audiences wherever they go. Storytelling is still very much alive when we get together with friends and share our lives and experiences. But those of us storytellers who share our stories through the written word quite often miss the chance to engage with our audience–except at “meet the author” events and book signings. As an author, some of my most cherished moments are when someone talks to me about the characters in my novels as if those characters are real people. 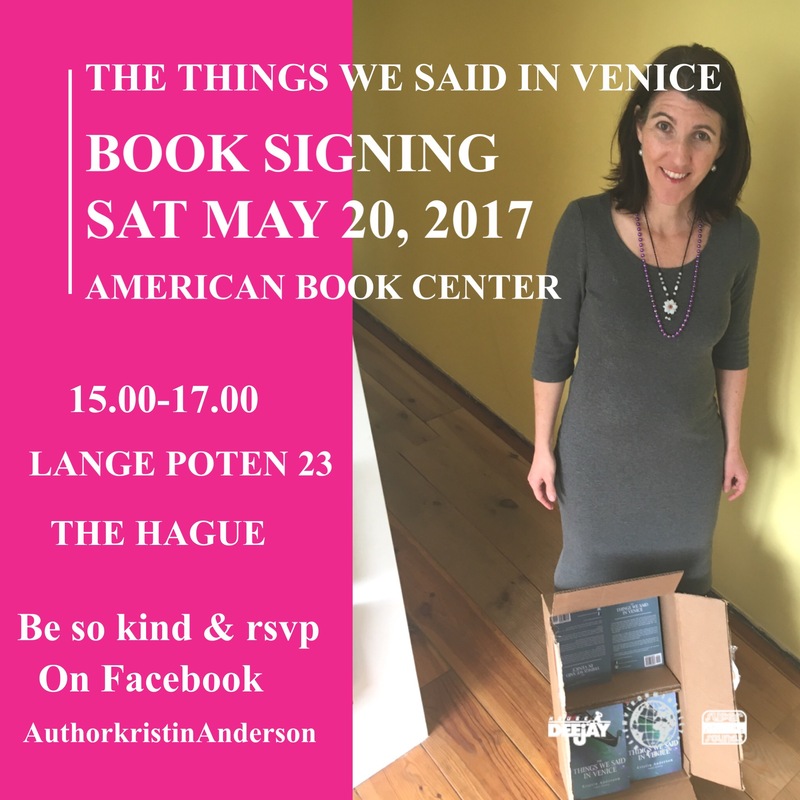 On Saturday, I stopped by the local tea shop to drop off a flyer for my upcoming book signing of The Things We Said in Venice (Saturday, May 20th at the ABC Bookstore The Hague, The Netherlands from 3:00-5:00p.m. in case you wanted to know). The owner of the tea shop came up to me and greeted me enthusiastically. “I just LOVE your novel! It’s so well-written. Fokke and Sarah seem so real. I can’t put it down.” He went on like this in some detail. He didn’t exactly ignore his customers, but he certainly took the time to tell me his thoughts, and I felt the excitement of sharing a world with someone who appreciated it. How often does that happen? Book sales are nice, but it is the anticipation of this sort of interaction that keeps us writers looking at the numbers. How many books have sold today? As the numbers slowly crawl higher, there’s a sense of excitement at the knowledge that someone else will soon enter this fictitious world we’ve created. But as April clicks over to May, or May clicks over to June, the total count starts all over again. This means that on day 1 of a new month, an author runs the chance of being confronted with a big fat 0 in the morning, where a double digit stood just the evening before. This is a good reminder that in the digital age, a writer, self-published or not, has to have their cheerleading, look-my-way hat on more often than they wish. They need to get their novels not only in the hands of new readers, but to the press, to reviewers, in the news. I’m sure at some point, the sales take care of themselves, but in the meantime, we need to be not only authors, but shakers and movers. It’s also good to remember what counts. In the right hand corner of my WordPress screen, there is a little icon with a pen that says WRITE. It is a simple icon used to start a new post, but I view it as a reminder of one of the most basic principles of being a writer. WRITE: Every day, twice a day, wherever and whenever you can fit it in. But in the mean time, there are 291 pages consisting of 83,825 words of storytelling just waiting for you. And millions more by other authors in bookstores, libraries, online, on your own bookshelf, just waiting for the right moment for you two to meet. Although The Things We Said in Venice is now available online through Amazon.com, .au, co.uk, .nl etcetera and can be ordered through your local bookstore, there is currently only one place where you can purchase your very own signed copy and celebrate it’s release with me in person: At my book release in The Hague! Why RSVP? I am ordering the books directly from the printer (in the United States) and therefore have the opportunity to sell the books directly to you on the day of the book signing. To make sure I order enough books (hope springs eternal), an RSVP will help me estimate how many more copies I need. (Please bring cash if you would like to purchase a copy, or hit up the nearest ATM the day of). Thank you all for following me and for your continued support of the worlds I create through writing!